Have you been on-the-fence about getting a Hauppauge HD-PVR to record all of your TV channels including the encrypted ones on your HTPC? Well we have what I think is the cheapest price for the Hauppauge HD-PVR 1212 ever. Dell has the Hauppauge Computer HD PVR High Definition Personal Video Recorder (1212) for $149.99 (239.99 less $60 coupon code 1B0MP6701R759C and $30 Mail In Rebate. Plus free shipping! If you're planning to get one don't wait - the offer expires July 29th 2009. For more tech deals – especially those HTPC and Media Gadget related ones, check out GeekTonicDeals. Roku Getting Mediafly – and something even better? According to Dave Zatz at ZatzNotFunny, the Roku box is getting Mediafly this fall. Mediafly aggregates free audio and video podcasts along with other clients for the iPhone, popcorn hour, chumby, blackberry and RSS. Zatz also hints at another service coming to the Roku, but doesn’t go as far as saying who. Whiile it would certainly be nice, I’m betting against Hulu and Roku already has Amazon On Demand so I wonder what it is? Hmm. After a ton of beta updates (I count 20!) and beta firmware updates, SageTV has finally released V6.6.1 from beta. So if you’re one of those not wanting to tread the waters of beta-land your wait is over because the official release of SageTV 6.6 has arrived. 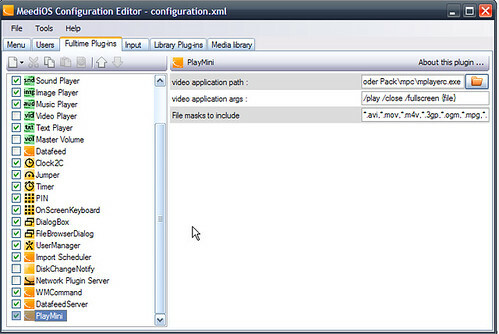 This is a no-cost upgrade for owners of any previous SageTV 6.x software. This cycle has been one of my favorites for SageTV. You can stream a Blu-Ray disk from the SageTV server to your HD200, a very improved channel setup with channel scanning for digital TV tuners, very useful system messages, improved Hauppauge HD-PVR support and more. Also released from beta is the new firmware for the SageTV HD100 Extender and the SageTV HD200 Theater. The official Windows Media Center forums website, GreenButton received a long overdue makeover yesterday. Greenbutton has been a go-to place for Media Center users for a long time and just recently was purchased by Microsoft. Yesterday they did an update to the forums that includes a “feedback” link, a new look, improved speed and other nice forum features. Thank you all for your patience during our migration process today. We are happy to welcome you to the new thegreenbutton.com community website. We all hope you enjoy the new look, features, and speed of the site. We know this has been anticipated for quite some time and apologize for the delay in getting it to you. Make sure to check out the new "Feedback" link for those of you looking to submit data quality issues. This is yet another step on our part to help us communicate with our customers to try and make our services and product even better. A quick note regarding search, I wanted to point out that the community is indexing the posts and this may take some time to complete. In the meantime, the search results may not be quite what you're expecting, but hopefully once the indexing is complete you'll find a better experience. 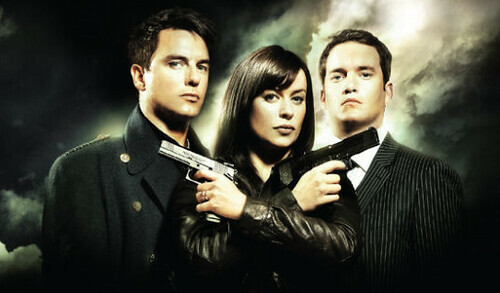 I’ve been a Netflix subscriber for a long time now. There are so many movies available on Netflix it’s sometimes difficult to keep up and even more difficult to sift through the pack of new releases. One of the first RSS subscriptions I added when I started Netflix was HackingNetflix.com. At HackingNetflix they do a weekly “New Releases” post with an abbreviated list of his picks for new release movies along with a full list of new releases with a short synopsis of each movie and hyperlink to the Netflix movie rental. Netflix has something similar in their RSS feeds, but I like the way HackingNetflix summarizes all of them each Monday. The MeediOS team continues to work on the new, MeediOS (successor to Meedio) program and up to now, users could really only use MeediOS in its current for for testing and continued developing. But today a new external player plugin called PlayMini was released that allows you to run different external players for media. This won’t be super-exciting news for non-Meedio users (yet), but it will definitely be welcomed by Meedio and MeediOS users. 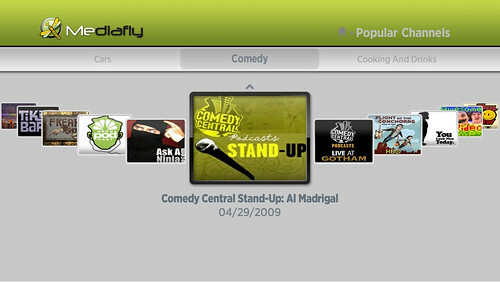 Meedio = older, full-featured HTPC program based on the classic HTPC software we knew as Meedio. MeediOS = new, still-in-alpha HTPC program being developed as the replacement for Meedio. The PlayMini plugin is a “mini” replacement for Playmee, known to Meedio users as a very valuable plugin. It’s not intended as a full-blown, feature-packed plugin yet. For now it allows Meedio fans to use MeediOS to watch videos with their favorite player instead of having to switch back to the older program, Meedio. 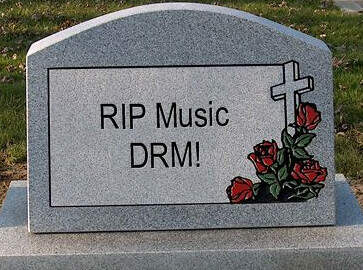 In a bold, exciting headline TorrentFreak declares that “DRM is Dead, RIAA Says.” I concur that DRM is definitely dead for music downloads and it is certainly a milestone that representatives of the RIAA are admitting it now. But we still have a very long way to go – just look at video. Jonathan Lamy, chief spokesperson for the RIAA declared DRM dead, when he was asked about the RIAA's view on DRM for an upcoming SCMagazine article. "DRM is dead, isn't it?" Lamy said, referring to the DRM-less iTunes store and other online outfits that now offer music without restrictions. Hearing that the RIAA is declaring DRM dead for music is nice – although we’ve known this for a while now (to say the least) even if they haven’t. There are now many avenues to get DRM-free digital downloads of music from Amazon, iTunes and other legitimate sources. But how about DRM on video? Just as music DRM is going away, DRM on TV streaming (Hulu etc), Cable TV Tuning (Encrypted Digital QAM/ CableCard & soon Satellite TV Tuners? ), Video Downloads (iTunes & Amazon) and DVDs & Blu-Ray Disks all have plenty of DRM or encryption with copy restrictions making it more difficult to view and listen to the media you purchase. I use the word purchase a little loosely since the media you pay for with DRM really is intended to be more of a “rental” of sorts. Take for instance the Amazon debacle of last week. Yes the books Amazon pulled from customers Kindles were in fact “unauthorized.” But the fact that Amazon pulled the books right from customers Kindles (even though they did credit the money back to those customers) without notice or an “ok” from the owner of those Kindles shows one of the dangers of DRM’d media. Many other examples of DRM’d music going away when the “DRM server” was pulled are all examples of why we do not want DRM on items we purchase. Let’s not forget that the MPAA had plans to some day close the “analog hole.” Which would mean forcing video to HDMI-only. The MPAA push for something they call "Selectable Output Control" (SOC), a way of ensuring your set-top cable box can't show certain content on the analog output so you won't copy it is another example of “locking down” the content and forcing you to their limited rules. The MPAA request was knocked down by the FCC last year, but I don’t see the MPAA giving up this fight any time soon either. The ills of DRM have been widely talked about of course as have the reasons media companies have put encryption and DRM onto that media. My problem with DRM is mostly around the shackles it puts on your use of that media. It hinders the use of the media on your Home Theater PC, mobile devices, eBook Readers etc and makes it more difficult for the paying customers to enjoy the media they are willing to pay for. There has to be a better way – lets hope the other media industries come around faster than the music industry has and finds a better solution than DRM.